Christmas is fast approaching, not to panic, but it 3 weeks away! This challenge is the last challenge of 2014, we will be back again on January 16th, 2015 for a new challenge. Hard to believe that we are actually going into 2015! Our family renewed our passports in December and with the new 10 year passport, they expire in 2024! Yikes! I am the featured designer for this challenge with a tag that I created last year during my 25 Days of Christmas Tags. I hope that you find time to create a tag based on mine and join us! Here is my remake, I stayed pretty true to the original. When my husband was in town last week he got out all the Christmas decorations, put the lights on the house and got the tree up so that my daughter could decorate it. We couldn't get the ornaments up as high as when the boys are around but I think we did a pretty good job. The star? well the more I look at the photo...yup, it definitely is croocked! Beautiful tree! I love the tag you made and the gorgeous sparkle on the ornaments! aww your tree is gorgeous and that tag well it is just too cute.. yay for December.. I love this time of year.. I LOVE both of these!!! So cute and those colors are wow! Ps ur tree by that staircase is FABULOUS!!! tracey! Love both of your tags and your tree...gorgeous! Loveeeeee your tag! LOVING the ornaments! And your tree looks gorgeous!!!!! 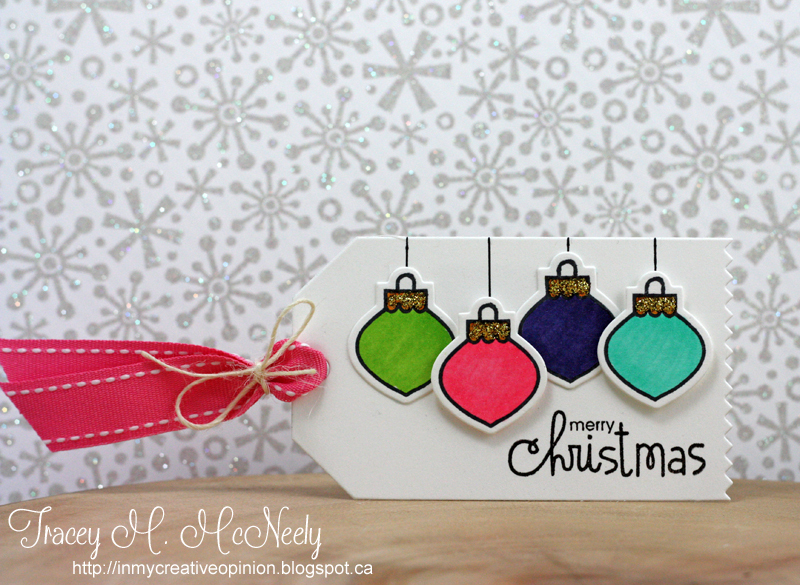 I love the bold colors you used on the ornaments, Tracey! Beautiful tag! And wow! Your Christmas tree is gorgeous! Gorgeous tree, Tracey! Wow! Love that sweet tag too! Hugs! 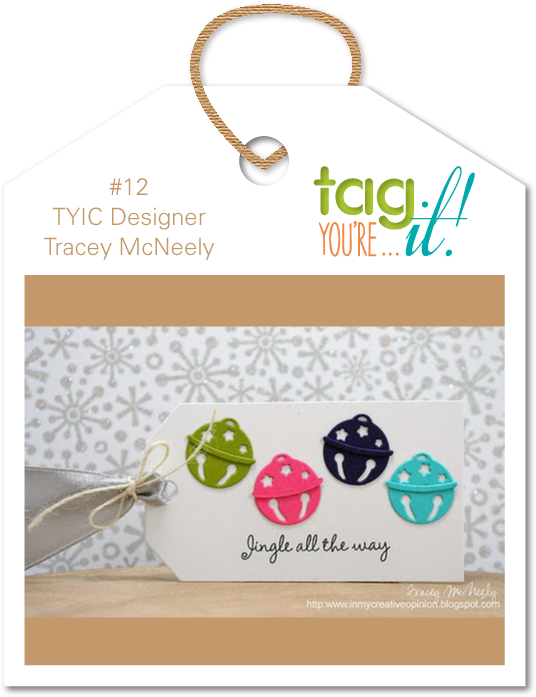 Gorgeous tag, Tracey! I adore the colors against the white!! your tree looks TREE-mendous! Thanks so much for playing Simon Says Stamp Wednesday “Christmas/Holidays” Challenge! 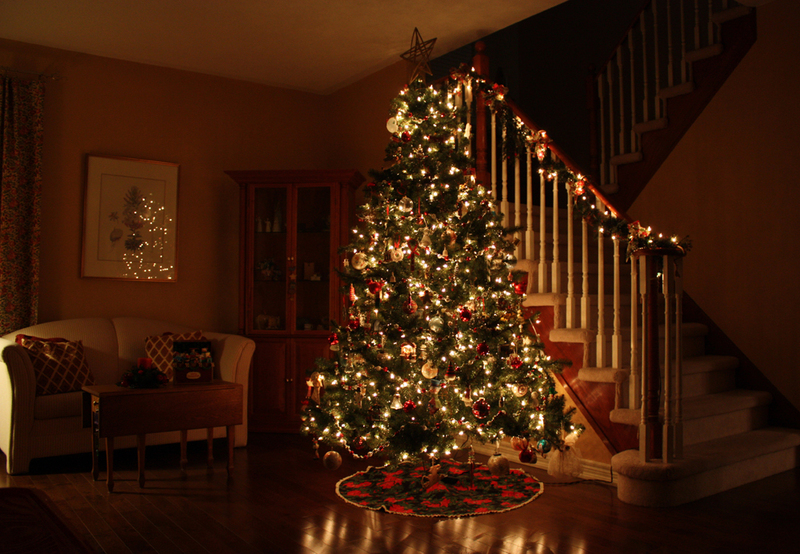 Love the photo of your pretty lighted tree and garland!! The reflection in the floor is wonderful. And as for your tag(s) sweet as can be...as always! Oh your tree looks absolutely beautiful Tracey! I love both tags...the colors are awesome. Love, love, love both of your tags, Tracey! The ornaments on this years' version are so pretty, and I can't wait to get started on mine! Your tag is a terrific remake, Tracey. Love both of them. Your tree is beautiful and what a wonderful place for it. Fabulous self case :) and love your tree!! Love those cute little ornaments :) Christmas tree looks amazing ! Such a gorgeous home you have, Tracey; the beautiful Christmas tree certainly accentuates how cozy and inviting it is. Lovely! Both your tags are pure delights: bright, crisp and soooo pretty! so stinkin' cute and your tree is gorgeous! Love, love your tag and that tree is simply gorgeous! So so beautiful. Gorgeous tags! Love your beautiful tree, too. Cutest tag ever.....both of them! Love your tree too! Looks beautiful! Beautiful Tree! I love your tags too! Oh, wow, your tree is gorgeous! And I love your tag, too! I love that we had the same idea to use ornaments! The tree looks amazing - and if your the designer this time you KNOW I'm THERE! Love those jingle bells! I absolutely LOVE this tag! So stinking adorable! Thanks so much for playing along with the Simon Says Stamp Wednesday Challenge! Such a CUTE tag! Love it! And your tree looks FABULOUS!